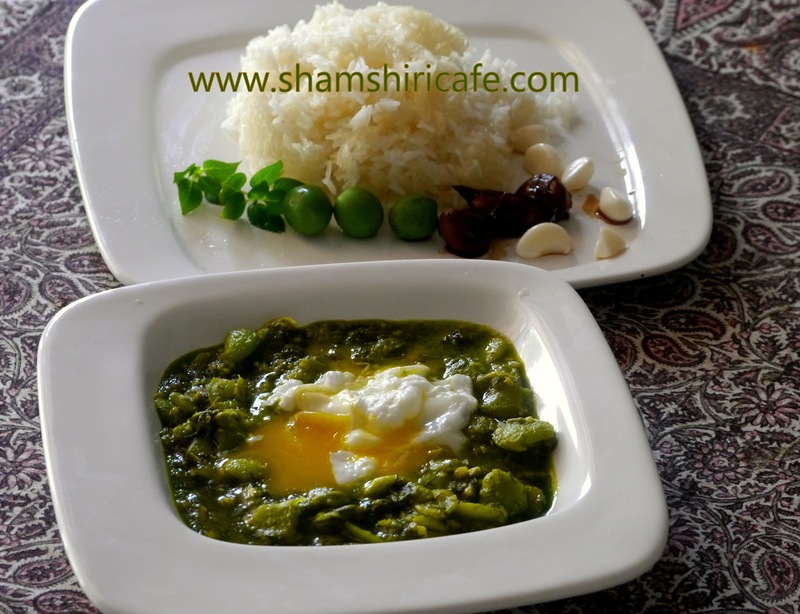 Baghali ghatogh; North Iranian fava bean and egg stew. "Baghali" means "Fava bean" in Farsi and "Ghatogh" is an old Persian word meaning “Stew.” So yes! 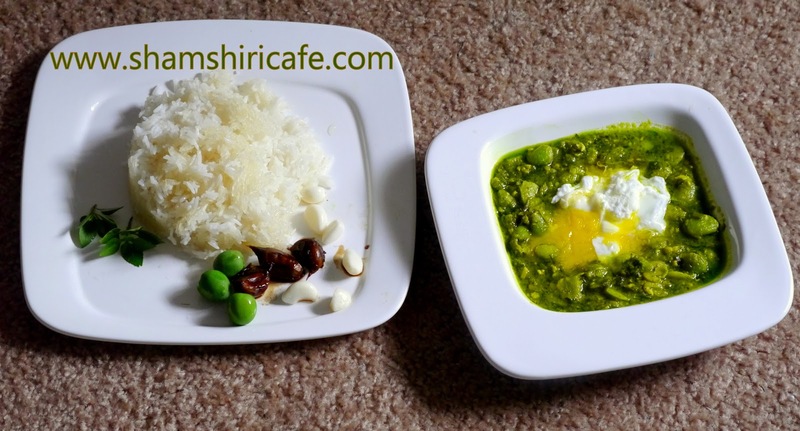 This is a fava bean stew from North Iranian Caspian region. It is a great vegetarian dish which is nutritious, due to the starch furnished by the beans and protein form the eggs. Allergy alert: Fava beans can cause serious allergy reactions in susceptible individuals. Check this link for more details. Make sure you inform your guests of their existence. Brown the garlic in half of the oil. Blend the other half with dill. Skin the beans (rather labor intensive but very important; It is very tempting to just add them skin on. Don't!). Add the turmeric and fry in oil. Then add the beans, dill oil and water. Season with salt and pepper and drops of lime juice. Don’t go liberal with the lime juice cause this stew is not meant to be sour (unlike other north Iranian recipes). Just drops to achieve the flavor balance. Cook for 10 minutes over medium heat till the stew is thick (from beans starch) and beans are fully cooked. Traditionally, at this stage eggs are added and are cooked for a couple of minutes without stirring till they are set. I prefer them poached as it is visually appealing and also as runny yolks act as a sauce and enriches the dish.